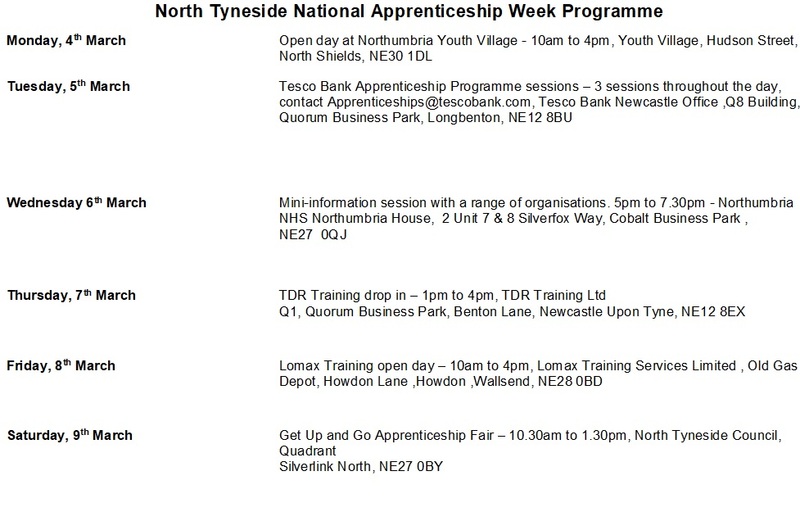 There will be opportunities aplenty to discover in North Tyneside as part of National Apprenticeship Week. The week runs from March 4 – 8 and the council has been working with local schools and businesses to showcase the achievements and benefits of apprenticeships and highlight opportunities. Activities and events will take place at locations across the borough, as part of a coordinated effort to spread the word about the benefits for employers, individuals, communities, and the local economy. The week will culminate with the popular Get Up and Go event on Saturday 9 March, at the council’s HQ on Cobalt Business Park, which aims to help young people and their parents/carers learn about opportunities across a range of occupational areas for which an apprenticeship can provide an entry route. Advisers from the Connexions service will be at the event to offer any advice or information, if necessary. For further information on the Get Up and Go event, contact the Connexions service on (0191) 643 6965.